It seems the world is finally waking up to the fact that there is a fixed amount of water on Earth and an uncontrollable burst of population that uses water at a rapidly increasing rate. Though the planet is covered with huge areas of water, only 2.5 % of it is currently usable and the rest is saltwater. The effects of our unsustainable, disorganized water use can already be seen: severe droughts in unexpected places, many people dying from inability to maintain basic sanitation, aquatic life systems disappearing. 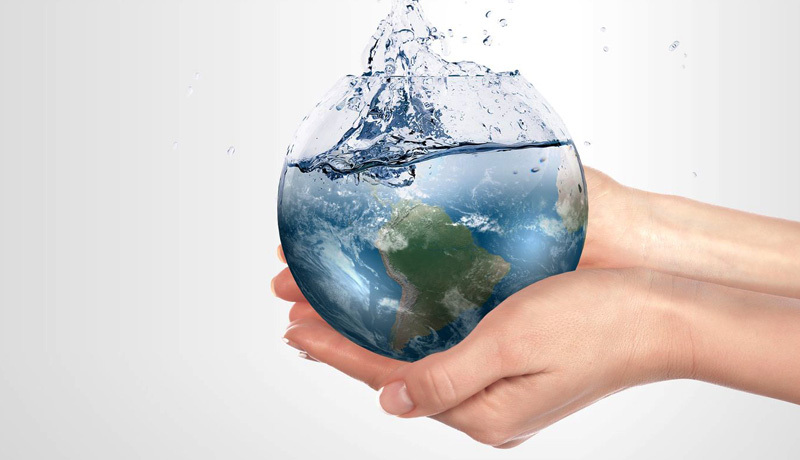 Environmental associations worldwide are engineering long-term solutions for sustainable water use and trying to make a splash big enough to include large corporations and whole countries in on the problem. Efforts are being made in the right direction via water-recycling technologies, desalination projects in certain countries close to the sea, projects that result in 70% cut in water use for agriculture, etc. Though the poor are the most affected by water scarcity issues, people in well-standing countries are also experiencing radical change. Most people were able to drink tap water only a few decades ago, but much of today’s freshwater is becoming polluted, chemically and physically hazardous, and people across the globe are turning to bottled water for safety reasons. The following infographic is our way of making a splash for water. It shows some important stats that everyone should be aware of, provides information about possible water solutions and invites everyone to change their daily habits that involve reckless water use. The time is not to panic, but to constructively contribute to saving the Earth’s most precious, life-sustaining resource.